A picture from 16 years ago of a young Scout sleeping in my window seat. In her early years she enjoyed being under the covers but as she grew older she’d only go under the covers when she was upset. 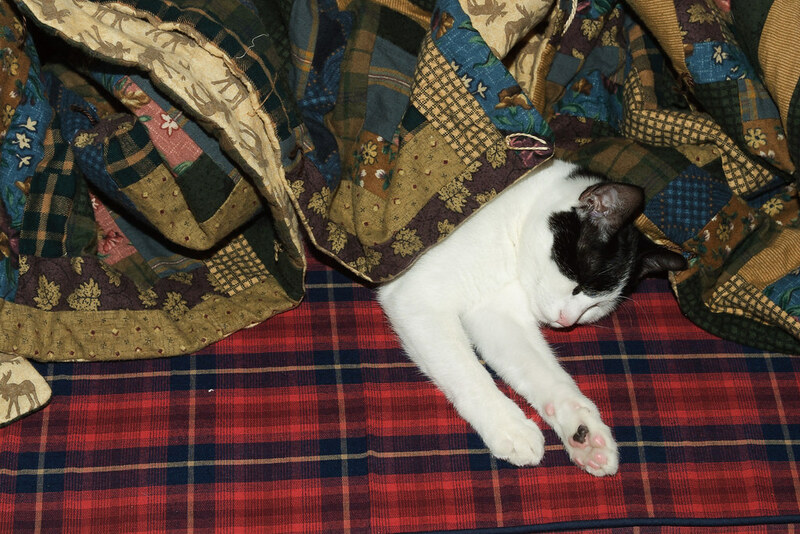 This entry was posted in Pets and tagged black-and-white cat, cat, Scout, sleeping, window seat. Bookmark the permalink.